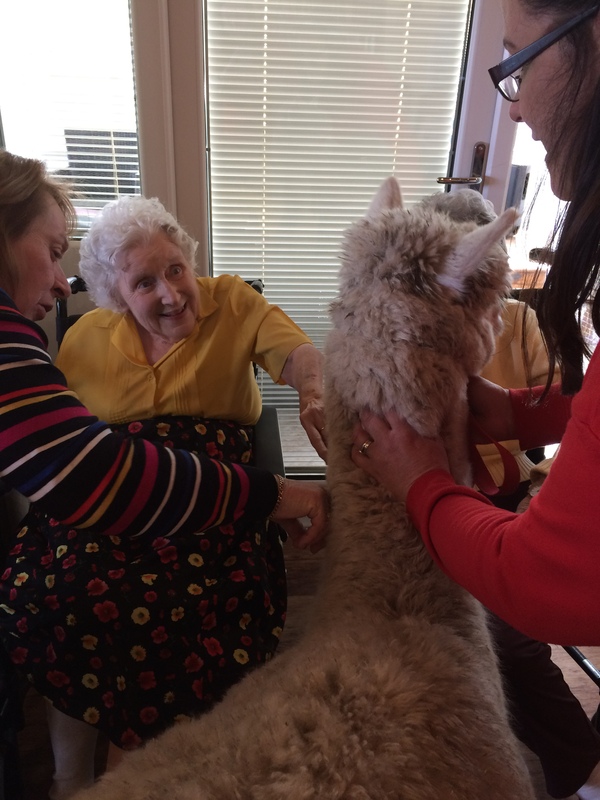 People living at St Joseph’s Residential Home received a visit from some special guests in the shape of two alpacas. Pan and Apollo from Middle England Farm stopped by the Terrace Café where they enjoyed being the centre of attention, being stroked and petted by residents. They even went upstairs in the lift to visit one woman who couldn’t come to the café to see them. 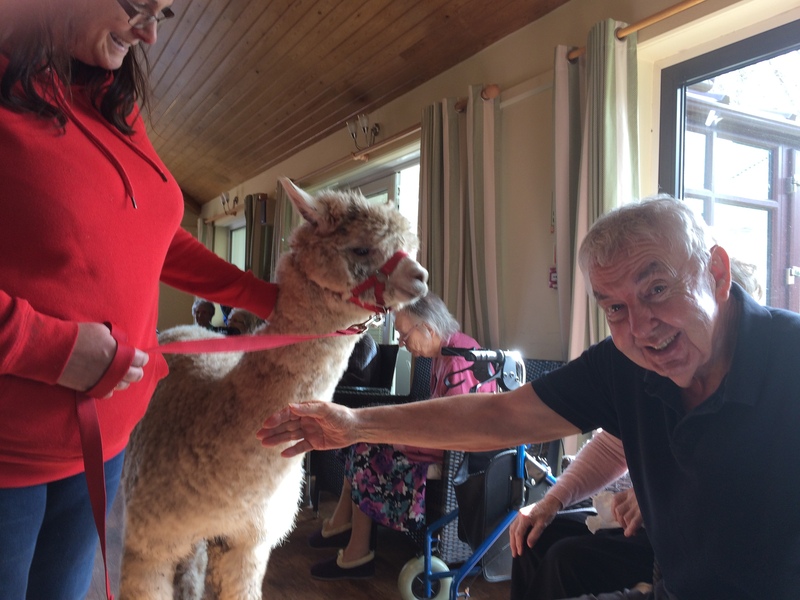 Middle England Farm hosts Alpaca Assisted Activities for older people. The meet and greet events are relaxing and stimulating for the people they visit. The delightful duo certainly put a smile on everyone’s faces.